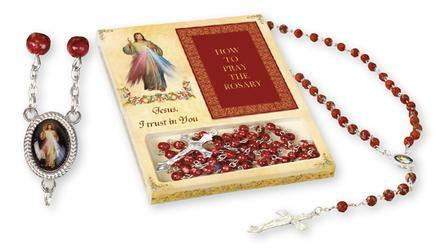 Rosary Gift Set Divine Mercy. Divine Mercy Rosary Beads with a Divine Mercy Rosary Purse. 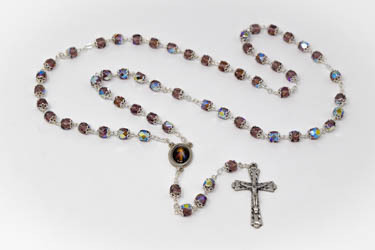 Divine Mercy Crystal Rosary Beads. 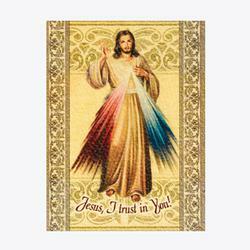 Divine Mercy Resin Holy Water Font by Florentine. Wood Plaque Triptych - Jesus I Trust in You. Risen Christ - Wooden Crucifix 10". Risen Christ - Wooden Cross Metal Corpus 8 ". Risen Christ - Wooden Cross Metal Corpus 8". Our Lady of Grace Olive Rosary Beads. Guardian Angel Rosary & Novena Book.